What’s the Net Return on ‘The Brady Bunch’ Home? 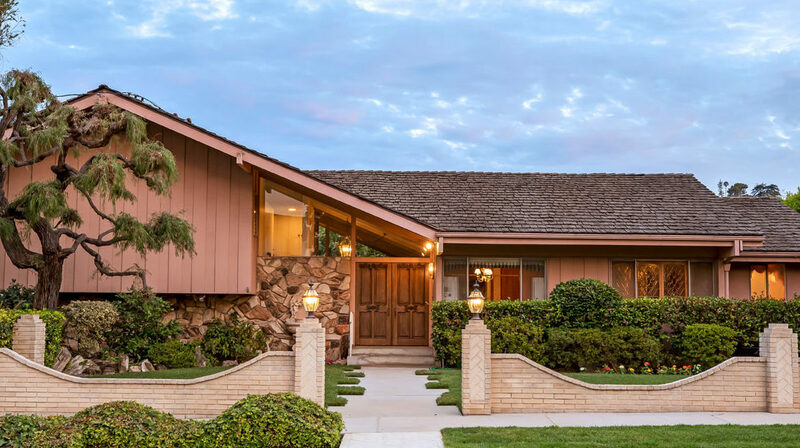 The Brady Bunch home is one of the most iconic homes in television history – who could forget that stone façade and the warm light glowing from inside? It is hard to believe but The Brady Bunch ended 44 years ago. The show has made headlines again because the house featured as the family’s abode was recently sold for a hefty sum. 45 years ago – one year before the show ended – the studio sold the home to a private buyer for a mere $61,000. The owner recently decided to sell the home to a “corporate buyer,” which ended up being HGTV (Home and Garden Television), for $3 million. Ernie Carswell, the agent managing the sale, claims that it is the second-most photographed home in the United States. (The first is the White House.) Considering the home was purchased for $61,000 in 1973 and sold 45 years later for $3 million, the seller got an 8.85% return on the property. Not bad! Could this be a new fund for us to start? We could buy famous homes and wait 45 years to flip them. We’ll call it the Celebrity Home Fund! What could go wrong? Check out the article below to read more about the sale. The iconic home depicted in the 1970s family sitcom, “The Brady Bunch,” has a new owner and is likely headed back to television. Home design channel HGTV triumphed in a bidding war, revealing itself this week as the new owner of the Studio City, Calif., home. The network is quiet on its plans for the 2,500-square-foot home, but David Zaslav, CEO of HGTV’s parent company Discovery, said HGTV intends to restore the home to its “1970s glory.” The house was listed for nearly $1.9 million. The final sales price has not yet been disclosed, but reportedly the home was fetching bids of up to $3 million. “More details to come over the next few months, but we’ll bring all the resources to bear to tell safe, fun stories with this beloved piece of American TV history,” Zaslav told CNN. This is the first time the “Brady Bunch” home has been on the market in 50 years. It previously sold for $61,000 in 1973, a year before the show had ended. “The iconic residence is reportedly the second most photographed home in the United States after the White House,” Ernie Carswell, the selling agent of the home, noted on a description for the listing. The home features one of the largest lots in the neighborhood and has been preserved in 1970s decor, the listing reads.